Huawei launched their new P series flagship phones in France. Despite early controversy about what the phones could offer in terms of zoom, that appears to be the phone’s most impressive feature. The P30 and P30 Pro have a lot of similarities in terms of hardware, with some minor cut-backs to ensure a lower-priced model would be available. 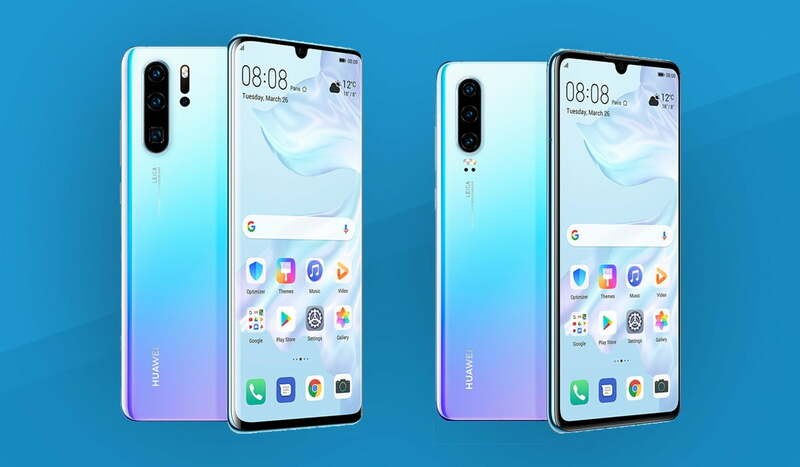 The Huawei P30 will have 3 cameras, while the Pro has 4 – the fourth being a periscope optical zoom camera. The P30 has a headphone jack, P30 Pro does not. The P30 has a 3,650 mAh Battery, while the P30 Pro has a 4,200 mAh battery. The P30 has 25W fast charging, and P30 Pro is capable of 40W reverse wireless charging like the Samsung Galaxy S10 phones. The P30 has a 6.1-inch, while the P30 Pro has a 6.47-inch curved display (both are OLED displays with a 2340×1080 (19.5:9) aspect ratio. The Huawei P30 costs 799 Euros which translates to roughly $900 USD (6GB/128GB); the P30 Pro will be sold for 999 Euros which translates to roughly $1,130 USD (8GB/256GB). Both phones have in-display optical fingerprint sensors, 32MP front and back cameras with a waterdrop notch, and come with the Kirin 980 SoC with 6/8GB RAM Variants and with ROM Variants ranging from 128-512GB. Additionally, they come with EMUI 9.1 based on Android Pie. What really makes the P30 Pro the star of the show is how Huawei has captured the magic of Optical Image Stabilization (OIS) when using 5x optical zoom. The Huawei P30 Pro will be able to take zoomed photos with crisp stability. Zooming in to take photos has always been taboo in smartphone photography, but it seems that Huawei found a way to change that. All in all, it looks like Huawei has created a phone that can change the perception of zooming.